In a huge win for the oil and gas industry, the Trump administration today unveiled a new five-year plan that would allow more drilling in the Atlantic, Pacific and Arctic oceans. Ending months of speculation and igniting an outcry from critics, Interior Secretary Ryan Zinke announced the decision in a 1 p.m. press call. "This is a start on looking at American energy dominance," Zinke said, adding that the plan would make the U.S. "the strongest energy superpower." He said the new plan would make more than 90 percent of the outer continental shelf (OCS) open for leasing, including off California. The plan would schedule 47 lease sales from 2019 to 2024, which Zinke called the largest number of lease sales ever proposed for the National OCS Program’s five-year lease schedule. It would include 19 sales off the coast of Alaska, seven in the Pacific region, 12 in the Gulf of Mexico and nine in the Atlantic region. Zinke's move came less than a week after the Trump team proposed weakening the rules on offshore drilling safety equipment, saying they create an unnecessary burden for the industry. The combination marked a double punch for environmental groups and other opponents of the proposal, which will replace the current five-year plan finalized last January under the Obama administration and scheduled to run through 2022. "More drilling and less safeguards is a recipe for disaster," said Diane Hoskins, campaign director for Oceana. 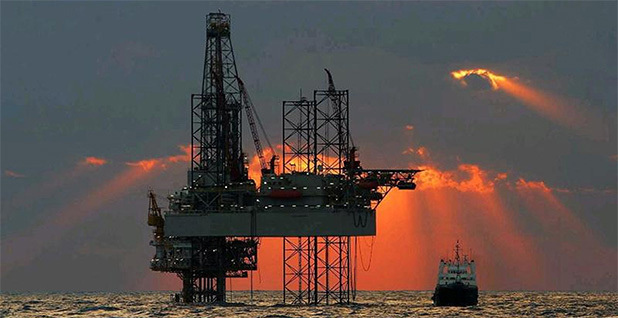 Calling the new plan a "radical offshore drilling free-for-all" that ignored widespread opposition, she said: "Secretary Zinke needs to protect our coast, not sell it out to the highest bidder." Drilling backers said changes are needed because the Obama administration made 94 percent of the outer continental shelf off-limits to development, hurting job growth. Lori LeBlanc, executive director of the Gulf Economic Survival Team, said the plan "is a major sign of optimism for our country's potential in being the world-leader in energy production." "With increasing OCS access, our country has the opportunity to maximize those natural resources in order to continue producing dependable energy, creating thousands of good-paying jobs and providing immense economic stability for our nation," she said. The plan would allow lease sales in 25 of the 26 OCS planning areas. It follows an April 28 executive order from President Trump that reversed an Obama administration ban on drilling in much of the Arctic Ocean and directed the Interior Department to consider allowing more offshore oil and gas leasing in other areas. "First of all, it was expected — nobody should be surprised, and nobody's changing their opinion," said Frank Knapp, president and CEO of both the South Carolina Small Business Chamber of Commerce in Columbia, S.C., and the Business Alliance for Protecting the Atlantic Coast, a group backed by thousands of businesses from Maine to Florida. Knapp said the plan had sparked "massive, universal opposition" from businesses along the East Coast. He predicted the fight will land in the courts, with the first battle over seismic tests that industry officials want to conduct to help them locate new places to drill offshore. "If those permits are issues for seismic airgun blasting, then expect there to be innumerous lawsuits filed," Knapp said. Opponents took credit for flooding the Bureau of Ocean Energy Management with more than a half-million comments. The list of opponents included more than 1,200 local, state and federal officials, including the governors of New Jersey, Delaware, Maryland, Virginia, North Carolina, South Carolina, California, Oregon and Washington; more than 150 coastal municipalities; and an alliance of more than 41,000 businesses and 500,000 fishing families. But state Sen. Stephen Goldfinch (R) of South Carolina said the drilling plan had plenty of "silent" supporters in his state who had no interest in challenging opponents in public. Goldfinch said that while green energy may be an answer in half a century, his state needs to rely on natural gas now. And he said that more drilling could be a "golden egg" for his state, noting a study that showed the possible addition of more than 35,000 jobs in South Carolina by 2035. Opponents vowed to step up the pressure to block the plan, noting that it still must face environmental reviews, more public hearings and scrutiny from Congress. Michael LeVine, senior Arctic fellow with the Ocean Conservancy, said opponents will have 60 days to try to convince lawmakers that no changes should be made in the current five-year plan, which he said "reflected the voices of millions of Americans who actively and vocally rejected opening up new areas to risky drilling." "Oceans are more than places for oil companies to increase profits, and giving companies and trade associations everything they want is neither responsible governance nor the way to sustained economic growth," he said. And Kristen Monsell, ocean program legal director at the Center for Biological Diversity, said that "people from coast to coast must resist this shortsighted, climate-wrecking giveaway to the oil industry." "Trump's trying to turn our oceans into oil fields," she said. Seeking to build support for the plan, the American Petroleum Institute last year surveyed 664 North Carolina registered voters and found that 67 percent backed "increased production of domestic oil and natural gas resources located here in the U.S.," while 64 percent supported "offshore drilling." And on Capitol Hill, 36 Republican senators, including Richard Burr and Thom Tillis of North Carolina, wrote a letter to Zinke voicing support for Trump's plan. Fearing Florida could be at risk for offshore drilling, the state's Republican governor, Rick Scott, said he had already asked "to immediately meet" with Zinke to air his concerns. The Trump administration also will face a fight from Florida Democratic Sen. Bill Nelson over the drilling proposal and the plan to roll back safety standards that were put in place after the 2010 Deepwater Horizon oil rig disaster. When the Bureau of Safety and Environmental Enforcement announced the plan last week, Director Scott Angelle said the administration wanted to encourage "increased domestic oil and gas production while maintaining a high bar for safety and environmental sustainability." Nelson said he will work to block the proposal by using the Congressional Review Act, a law that gives Congress the power to overturn an agency's final rule. And he said he hopes the public "starts registering some complaints." "Almost 5 million barrels of oil spilled as a result of a defective device called a blowout preventer," Nelson said on the Senate floor yesterday. "Now, what the Interior Department and this administration is trying to do is undo the updated standards for shear rams and blowout preventers and is trying to get rid of a required third party to certify the safety mechanisms."